Twenty years ago I was a stay-at-home mom with three sons. To help us out, I began making and painting children’s furniture. I had no storefront and Etsy didn’t exist, so I’d go to local craft shows. It was my first taste of running a business and my first experience being in a larger creative community. It made me learn and grow--and it gave me the confidence to open The Table. To mark our sixth anniversary, we’re holding the First Annual Makers Collective, a celebration and showcase of independent craft. Join us at The Table from 10:00am to 5:00pm on Saturday, May 4th to shop, learn from our makers, and be creative yourself. It will be a magical day that will close with music under the stars. For more details, please follow us on Instagram. Apply to be one of our makers by sending us an email at TheTableFarmBakery@gmail.com with your name / phone number / social media links and any photo references of your work. Applications close March 16th and will be processed by March 20th. Y'all can get excited, 'cause our house-made lavender syrup is back and welcoming in spring! Also, come try our March feature of the month, the Lavender Mocha. It tastes like strolling through a luscious garden while nibblin' on a bar of chocolate. Can't beat that! Come try this delicious beverage served hot or on the rocks! *We are happy to cut and/or garnish items for a 15% surcharge. *Minimum of 10 bags for special orders. Winter may still be with us, but not inside The Table, where we're serving our classic Honey Cinnamon Latte. Subtle and delicious, February's drink of the month is carefully crafted by our team of baristas to please your palate and warm your soul. This year has taught us what it truly means to be thankful. We have experienced the ebb and flow of change in our staff, families, and most importantly our individual journeys, and we've loved sharing that with each and every one of you. We wish you the happiest New Year and send you into it confidently, knowing that you are seen and appreciated and that you will always have a seat at our table. Thank you for another remarkable year. The greatest present we can give is simply being present. My fondest memories of Christmas are when my dad would stop what he was doing, grab his ax, take my hand, and we'd spend hours in the woods looking for the perfect pine. Our tree was by no means Pinterest-worthy, but looking back I think it was the most beautiful. Probably because my dad laying down all he had to do and spending time with me was the greatest present he could give. May you find those moments with your loved ones this season. They'll be the presents you treasure most. Setting a warm and welcoming table doesn't have to be a daunting task. All you need is right around you! In their most difficult times, many families in our community have been touched by the love, support, and kindness of Hospice House of Randolph County. Partnering with local potter Joe Sink, we've created a mug for this season, all the profits of which will be donated to Hospice House! Our Winter's Blend Granola is back--and with the greatest flavors of the season: almonds, all-natural candied orange peel, maple, nutmeg, and ginger. It's like a Christmas party in your mouth! New Table totes and tees available in our market! Put some pep in your step! Our peppermint mocha lattes are back for December! As always, all our syrups are made in house in small batches. Gratitude is looking at the beautiful abundance that life has presented us and choosing to lose focus of what is missing. November, our month to give thanks, is here again. Over the years, my greatest contentment has come from giving myself to those in need. From giving grace, time, and resources, and--even more so--from keeping an open space at my table. To express our thanks to you and to our planet, we're launching The Table Gives Back program. If you pick up one of our new MiiR Table Tumblers, not only will 3% of that purchase go towards a trackable giving program, but you'll also help cut down on waste. And in return, every time you bring your MiiR Tumbler to the Table, you'll receive 10% off every 12 oz beverage. We're proud to partner with MiiR. Help us spread their generosity! And don't forget to check the bottom of your Tumbler to see exactly what your purchase helped fund. Our new seasonal granola (Harvest Blend) and our signature Breakfast Blend granola got a makeover! Look for both blends in our retail section. (we brought this crowd favorite back for November) Sweet with a subtle hint of bourbon & best served hot. You're wearing that blazer. You know the one. The one you wear when the leaves begin to turn. When you say goodbye, reluctantly, to summer's charms. You reach into the pocket, looking for your phone, but there's something else in there. Old movie tickets? A shell from that impromptu beach trip? Flowers from a walk, now dried? You put them back, phone forgotten, and say hello to autumn. As autumn welcomes in nostalgic hints of cinnamon, pumpkin, cool air, and crunchy leaves, we welcome our new fall menu. Our talented chefs and baristas have all poured their hearts into creating fresh, seasonally-minded selections. We cherish these opportunities to grow in our craft and share our depth of feeling with you in each beautiful season. There is no shame in spice! We love what you love, and we are proud of our pumpkin-spice latte with house-made syrup. Try it hot or iced anytime this autumn. Welcome to your seat at the table. We extend our home to you as an invitation to break bread together. May you be met with belonging, marked with inspiration and found in community. "Saturday morning, I watched as one of our baristas moved from the busyness of their work to help a guest in her wheelchair find a seat. There was something so beautiful in seeing him carve a path for her through the crowded space. "Kindness shifts the focus from ourselves to someone else. It makes room for others when it's not always convenient. Because of that small act of kindness this guest no longer felt out of place. She felt seen, honored and welcome. This month take time to think of a few small ways you can shift your focus to make someone else feel seen." 1. Prepare Crust: Process first 4 ingredients in a food processor until mixture resembles a coarse meal. Gradually add ice water and process until dough forms a ball and pulls away from sides of bowl. divide dough in half and flatten each half into a disk. wrap each disk and chill for 2 hours to 2 days. 2. 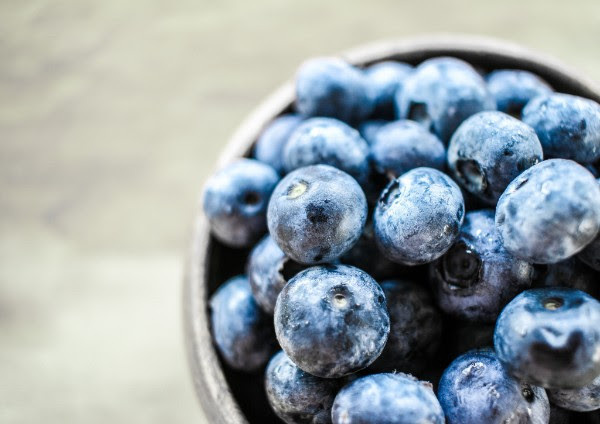 Prepare Filling: Place 1 cup blueberries in a large bowl; crush blueberries with a wooden spoon. stir cornstarch and vinegar into crushed berries until cornstarch dissolves. stir sugar, next 5 ingredients and remaining 6 cups blueberries into crushed berry mixture. 3. Place one dough disk on a lightly floured surface. sprinkle with flour. roll dough to 1/8 inch thickness. fit dough into a greased (with butter) 9-inch deep pie plate. Repeat rolling process with remaining half of dough. Pour blueberry mixture into pie crust and dot with butter cubes. Whisk together egg and 1Tbsp. water. Brush a small amount around the edge of pie. Place second pie crust over filling pressing lightly to adhere. brush entire pie with remaining egg mixture. Freeze 20 minutes or until dough is firm. 4) Bake pie on an aluminum foil-lined baking sheet 20 minutes. Reduce oven temperature to 375 degrees and bake 20 more minutes. Cover pie with aluminum foil to prevent excessive browning. bake 25-30 more minutes or until golden and filling bubbles in center. cool 1 hour before serving. We extend our home to you as an invitation to break bread together. "The Table's 5th Birthday Celebration two weeks ago was more than I could've asked or imagined. My nephew, Cadence, captured my heart in forty-five seconds in the video above. As I watched these short little clips over and over, the feeling of unity overwhelmed me. From all those that cheered on their fellow baristas in the Latte Art Throwdown, the beautiful melodies and sounds coming through Mill 133, to those sharing a meal and birthday cake together, taking the time to stop and celebrate this little building that sat unnoticed five years ago that has now become a place that is filled with life...I want to thank you all. I am filled to the brim with gratitude toward my team; these are an extraordinary group of people who have given of themselves to create a special place in Asheboro. And to our incredible community, thank you for embracing us." LaChrista McArther of Press Coffee + Crepes (Graham, NC) was the Champion of the The Table's Latte Art Throwdown during The Table's Birthday Celebration. She beat out twenty-two other competitors and came out on top! Thank you to everyone who participated, contributed, watched and cheered on! We have brand new tees available in the Market in a classic baseball style. Our beautiful vision statement is printed on the back. All sizes available while supplies last! Also, have you seen our new packaging for our Small Batch Retail in our Market? 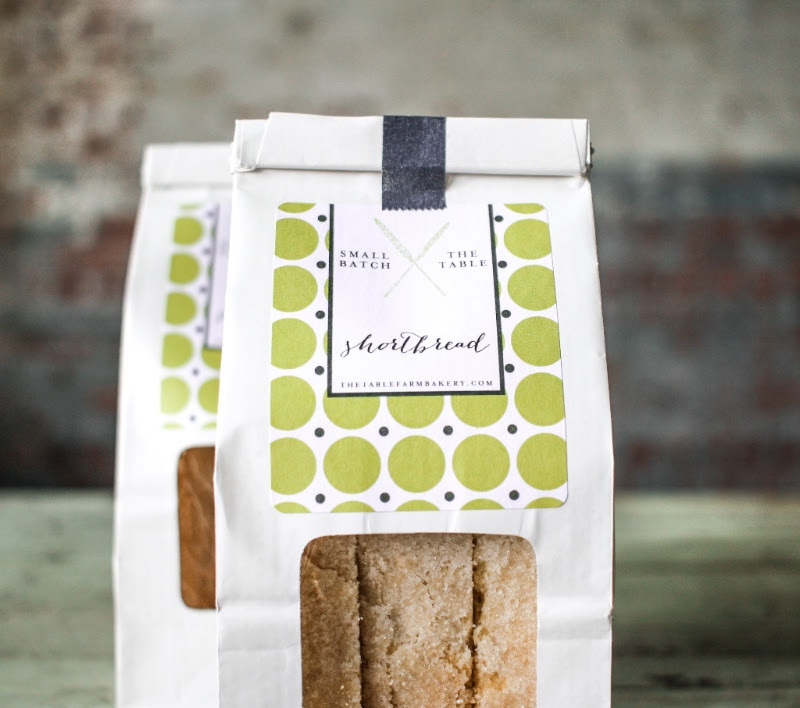 We have Shortbread and other yummy goodies in cute white bags. They make perfect little gifts to tell someone thank you. Our Farro Breakfast Bowl is a hearty, satisfying meal using Big Spoon Roasters Peanut Butter (from Durham, NC). 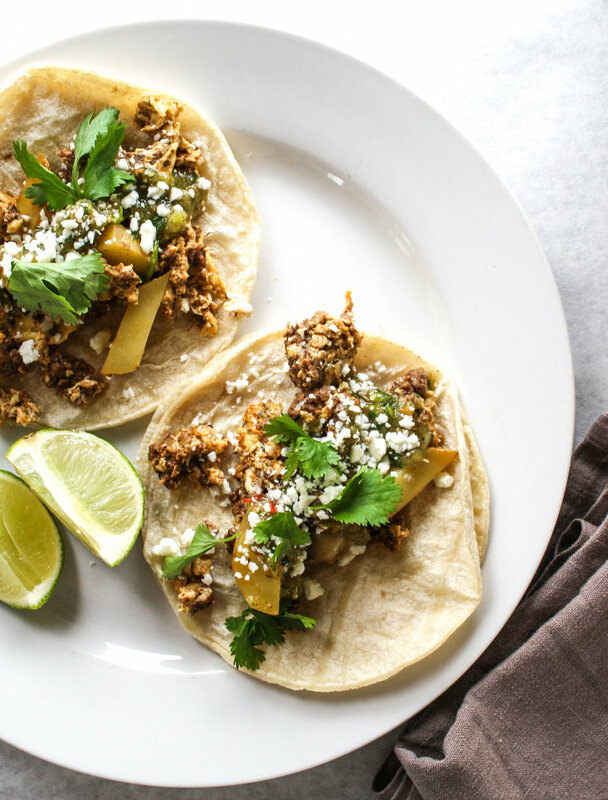 This dish is quickly becoming a staff favorite. Ingredients include: farro, coconut milk, Big Spoon Roasters peanut butter with sorghum, sliced banana, fresh blueberries. Have a staff meeting this summer and need some delicious food? If you're interested in our boxed lunches and catering, please click here for more info and to download our Catering Menu! Vanilla, Chocolate, Lemon, Blueberry, Cream Cheese, Coconut, Lavender, Raspberry or Strawberry -$? Our Olive Oil Sea Salt bread is one of our most popular. It is paired perfectly with summer pasta dishes. The Mocha Milk's beauty lies in its simplicity. Intentionally pulled espresso with single origin coffee roasted by our friends at Counter Culture Coffee (Durham, NC) and the richest, most indulgent chocolate milk we've ever had from Homeland Creamery (Liberty, NC). Impossible not to love! Try this great, refreshing summer drink iced or blended. Available in Greensboro this month are our Petite Strawberry Poundcake Loaves ($4.95). These make a nice teacher or hostess gift or they are great for Father's Day (available most days during June). *Please call 2 days in advance for any pre-order items. First Friday in Downtown Greensboro! Come visit us every First Friday in Greensboro from 6-9pm! Try our new featured latte, Mocha Milk, and we'll also have other sweet treats. See you then! “Passport to Summer”: Passport to Summer is a program that was piloted last summer by Downtown Greensboro Inc. Pick up your passport at any participating downtown business (only costs $1!) and start earning stamps as you shop in local businesses. The more stamps you collect this summer, the greater your chances are to win fun prizes at the end of the program. The Table on Elm offers a stamp with any purchase. The Passport to Summer Program runs June 1st-August 31st. Father's Day is Sunday, June 17th. Bring your dad on a special date to The Table on Saturday, June 16th for treats. Gift cards are available, too! Both Table locations will be closed July 3-4 (Tuesday and Wednesday) in honor of Independence Day. We will re-open with regular hours on Thursday, July 5. Copyright © The Table Farmhouse Bakery 2018, All rights reserved. "I grew up in a house with visionaries, dreamers and doers. My mom and dad taught me to live a life of faith, to be a giver and to love deeply. My journey in creating The Table was rooted in the very soil that was cultivated in me in my younger years. Then I married an incredible man who continues to love me deeply, fight for me and encourage me to go after the dreams of my heart. I have been told many times how awesome it is that I'm able to live my dream of owning a restaurant, a bakery and a coffee shop. To be honest I had never dreamed of doing any of those things. So, how did I get here? Most times we are given just a little piece of our dream initially, and as we pursue our longing the dream begins to reveal itself. In a 10-year process of looking to find a space to do “something,” I finally found the old Cranford office building in Summer 2011. This historic site in Asheboro, NC (built in 1925) had a ceiling that was caving in, a tree growing through the brick, paneling that was separating from the old plaster and its green carpet was saturated with standing water…but all I could see was its beauty. It’s perfect, my heart said. It took some convincing with my husband for him to see that this space was perfect, too. At the time it wasn’t available for purchase, but Andy and I both felt we were to just wait. If this was the space we were supposed to have, the doors would open. The opportunity came in early 2012 to make a bid on it, and we got it! The reality set in, and we began the process of restoration and defining what it was supposed to be. The hours Andy and I spent scraping windows, removing plaster and painting the walls were a part of the process of The Table becoming a part of us. We wanted to create space where everyone felt welcomed, a space that would become a vital piece of the community. There is something special that happens when we take time to stop, gather and give thanks for what we have while sharing a meal; this is where community can take place. In every one of us we have an innate desire to be connected, to live in unity, and it can start with breaking bread together. Yes, this is it! In the renovation process I discovered and put words to my dream: creating beautiful spaces for people to come; establishing a place where people can be employed and find purpose and grow in their work, feel belonging, be inspired again, take those deep breaths, and be found in a community of people that want the best for one another. So, this month we are celebrating 5 years! Five years of learning a lot about myself. Five years cultivating a space for people to grow in their trade, their skills. Five years of seeing a community change and grow. How thankful I am to be a part of this incredible journey—to work with a team that desires to do this with me. And most of all, thank YOU for coming and sitting around our table. It’s because of you we exist." Please come join us for a community celebration of The Table's 5th Birthday on Saturday, May 19th! This party is a celebration of all you have done to support us over the years. Check out a sneak peak of our new Mill 133 building project while enjoying live music, food trucks, kid-friendly activities and other festivities. 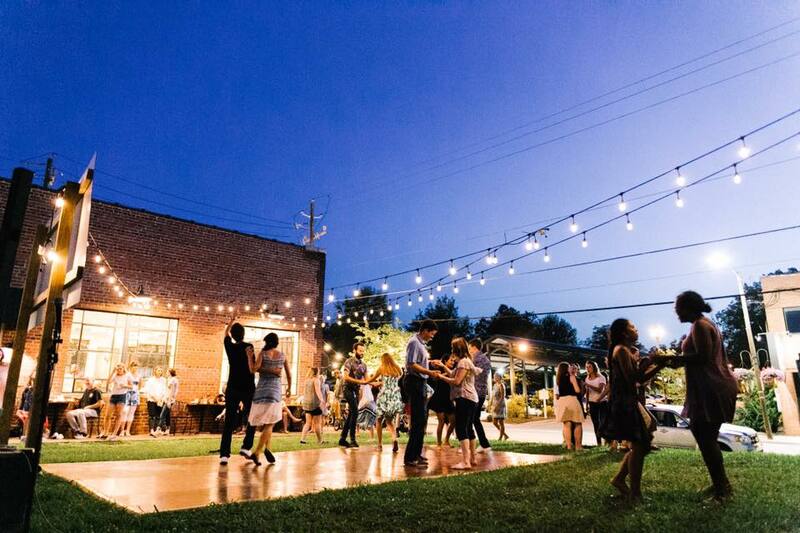 3-5pm // Live Music from Meggan Cashwell Quartet and dancing! The Table will be closing at 2:30pm, so that our staff and their families can enjoy the birthday party, too! In honor of The Table turning 5 years old, we will hold a grand, evening-long celebration on May 19th. Our inaugural event will be a Latte Art Throwdown. Expert and amateur baristas alike are encouraged to enter. There is a $5 entry fee, and all proceeds will go to Asheboro's CUOC—an amazing, local nonprofit that feeds people in need. Sign-ups will open at 3:00pm that day, and the pours will start at 4:00pm. "Come celebrate 5 years of excellent coffee with us, and watch baristas go head-to-head to pour the prettiest drinks. See you there!" 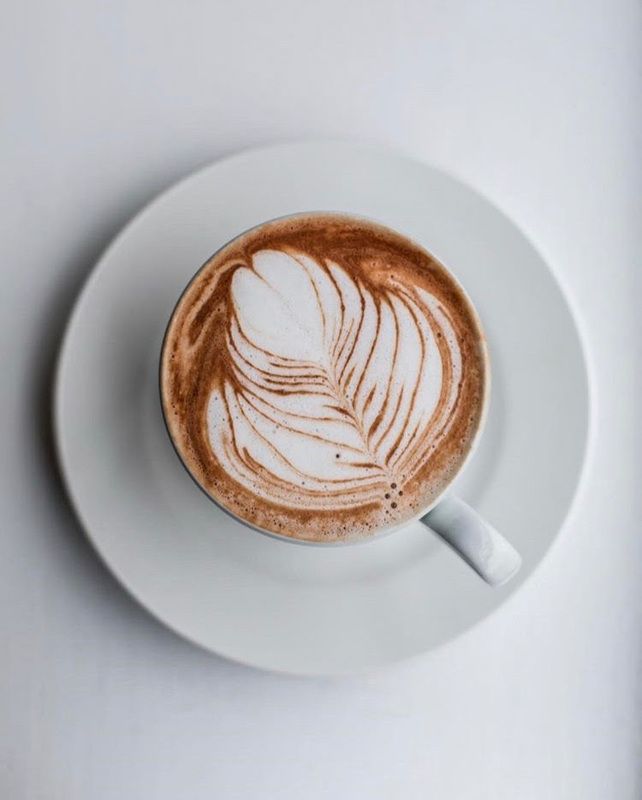 Our Lavender Mocha Latte is a blend of a classic coffee pairing: chocolate with something a little newer on the coffee scene, lavender. 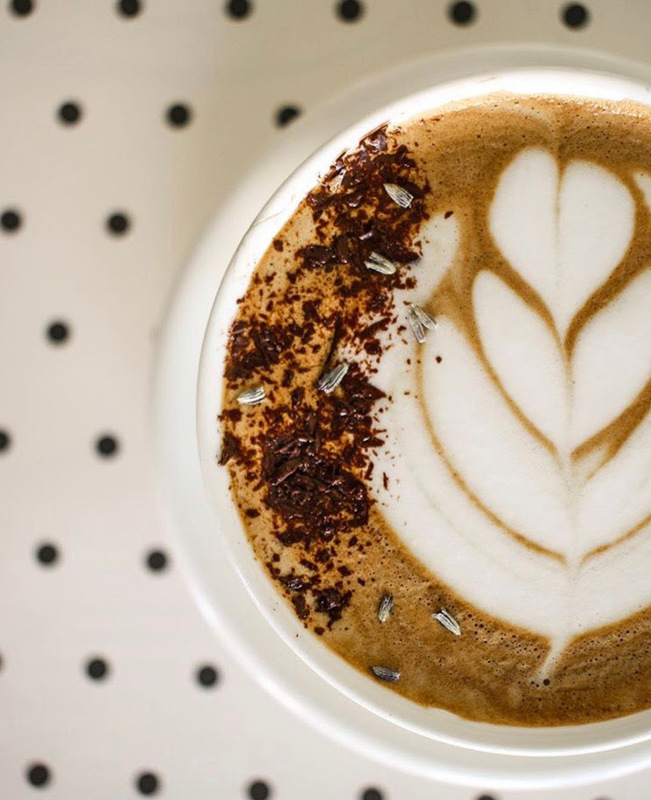 Rich, organic chocolate sauce alongside the springy, floral lavender syrup leave you with a balanced, tasteful sweetness that compliments the attention we pay to our espresso-pulling and milk-steaming. The lavender blossoms on top take the aromatics to another level. Excellent hot or on ice! Executive Chef Deanna has created a beautiful new menu for the Spring and Summer season using fresh, local ingredients. Check out our new seasonal menu online by clicking here! If you're interested in our boxed lunches and catering, please click here for more info and to download our Catering Menu! 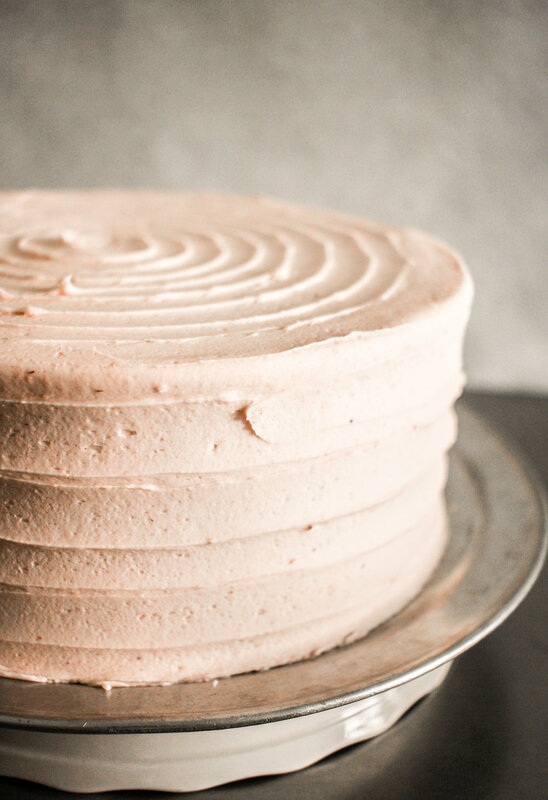 Our buttermilk pound cake is baked with a ribbon of strawberry jam, sandwiched with cream cheese icing and finished with strawberry buttercream. 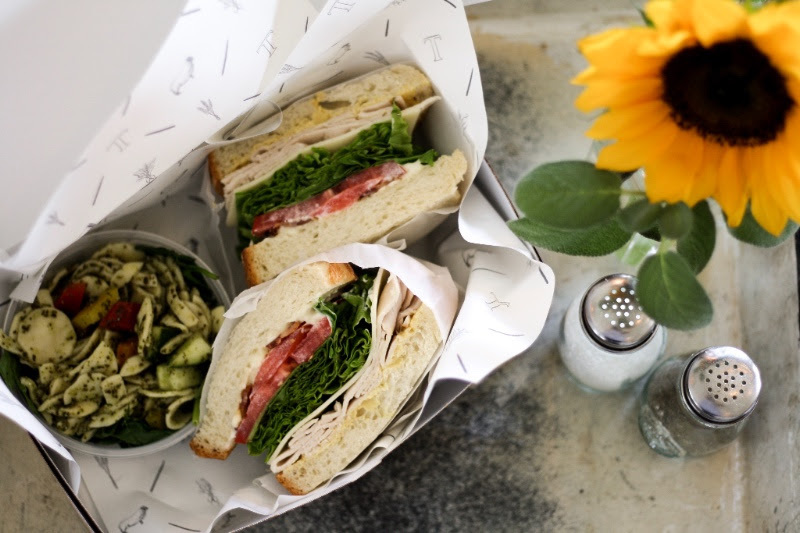 Our Sunflower Rye (featured on Thursdays) is perfect for making sandwiches and is great for a breakfast toast! You've probably seen and sampled our sweetly delicious new granola for Spring and Summer called Sweet Blue Granola. Isn't it good?! It's made with dried blueberries, slivered almonds and lemon peel. It's yummy paired with fresh berries and yogurt. This is perfect for a Mother's Day gift. Grab one today! Available for Special Order in Greensboro only are our Red Velvet Cakes, made with chocolate cream cheese icing! These are perfect for Mother's Day, and are available most days during May. They are made in individual sizes ($5) or in 6" rounds ($22). Our Lemon Marscarpone Torte is also available this month on special pre-order ($30). We also have various flourless options that are offered daily in our Bakery, like our Almond Horns ($2.95 each) and Apple Bars ($2.50 each). Please call 2 days in advance for any pre-order items. Our Table on Elm Bakery carries various bread loaves each month. This May we will carry Brioche loaves ($5.95) exclusively at our Elm Street location on Wednesdays and Fridays (available late morning). These are perfect for French Toast! TONIGHT: First Friday in Downtown Greensboro! Come visit us this evening (Friday, May 4th) for First Friday in Greensboro from 6-9pm! We'll have some delicious lattes and mini pastries for y'all to try out. See you then! Mother's Day is Sunday, May 13th. Bring your mom on a special date to The Table on Saturday, May 12th for treats. Gift cards are available, too! *Please Note: The Table will close at 2:30pm on Saturday, May 19th for our Birthday Celebration. Fresh Spring colors, flavors and ingredients are popping up everywhere this April. This season brings forth a vitality of life and the beautiful possibility of a brand new start. The Table's Executive Chef Deanna is thrilled about unveiling The Table's Spring & Summer Menus this month. At times, that can be the rate at which conditions seem to change within the environment of a restaurant. As someone striving to always live in the moment, I believe this to be one of the many reasons I find comfort in cooking within our kitchen at The Table. And so, we welcome Spring! May we all savor the beauty in variety in this season. And we hope you will come dine with us; as always, you have a seat at the table." Spring has sprung! Come dine with us and taste and see for yourselves how delicious our new menu items are. "I am particularly excited about the offerings in this menu update! 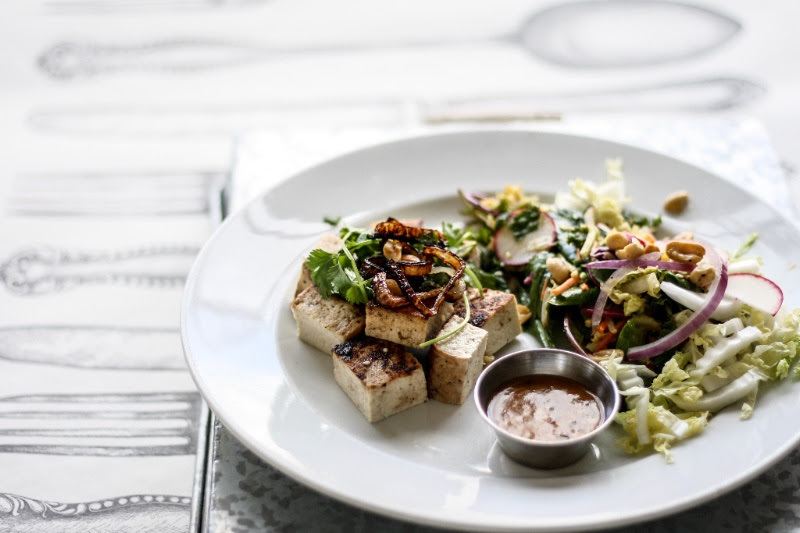 Our Eatery selection is fun, flavorful and well balanced. Choosing a favorite seems impossible! 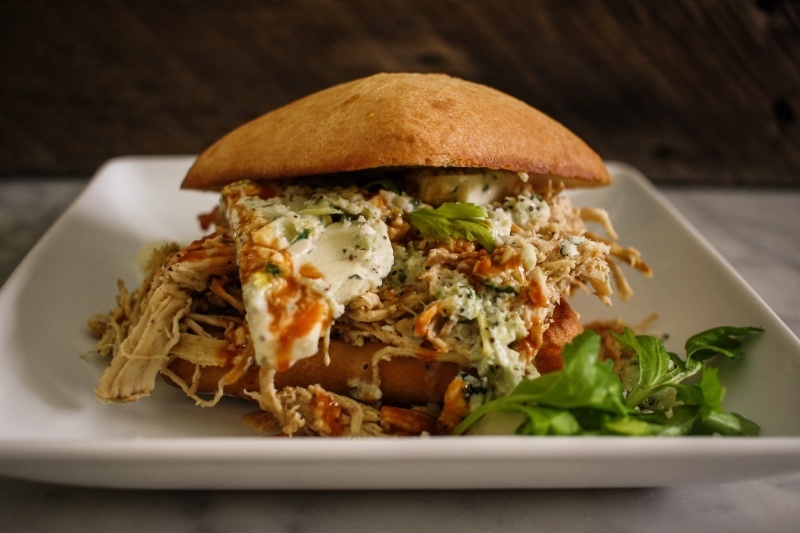 I invite diners to come back often to experience each new item." Making a Crostini Platter with our French Baguette is going to be the easiest, tastiest treat for the Spring. Check out the recipe below! Combine balsamic, brown sugar, basil, salt and pepper in small bowl. Add sliced strawberries, and let sit for 30 minutes. In the meantime prepare your crostini. Arrange baguette slices on two large rimmed baking sheets; brush both sides with olive oil, and season with salt and pepper. Bake until golden, 15-20 minutes, rotating sheets halfway through (if undersides are not browning, turn crostini over once during baking). Spread Chèvre on cooled crostini, and top with strawberry mixture. Garnish with basil. Check out the beautiful cheese spreaders and cheeseboards we have available in The Market this month. They are perfect for dinner parties and serving your favorite hors d'oeuvre, like Strawberry Balsamic Crostinis. This month's speciality latte is for you Tea Lovers out there! The Grey Lady is steeped to order, using Lord Bergamot (an earl grey tea from Smith Tea in Portland, Oregon). It is made with a lavendar-based housemade simple syrup and topped with beautiful lavender blossoms. Try it hot or iced! Starting THIS WEEKEND, come support Asheboro's local theater company, RhinoLeap Productions, by attending a performance of Forever Plaid from April 5-15 at The Sunset Theatre. Forever Plaid is one of the most popular, successful musicals in off-Broadway history. This deliciously fun revue is chock-full of classic harmonies and delightful scenes that keep audiences humming along to some of the great nostalgic pop hits of the 1950s. Click here to purchase tickets now! Mark your calendars! We will be participating in the Dining Out For Hospice Dollars on Wednesday, April 25th. The Table will be donating 10% of all sales that day to Randolph County's Hospice House. They do so much for this community, and it's an honor to help support them. We have done it for the past four years, and it's always had such a beautiful, successful turn-out from the community! Let's show Hospice some love, Randolph County! Come celebrate our anniversary with us. Keep your eyes open for official announcements on upcoming festivities! Our delectable Lemon Barsare back for the Spring ($1.75 each)! And we have various flourless options that are offered daily in our Bakery, like our Almond Horns ($2.95 each) and Apple Bars ($2.50 each). Our Table on Elm Bakery carries various bread loaves each month. This April we will carry Brioche loaves ($5.95) exclusively at our Elm Street location on Wednesdays and Fridays (available late morning). These are perfect for French Toast! *Please note that we will not be open in the evening for the upcoming First Friday in April; however, we will resume participating in First Fridays in May (5/4). Come visit us then! “The seed breaks to give us the wheat. "As a young girl, I always knew we were going to have company over for dinner when I saw the dough bowl covered with cloth sitting in the afternoon light; it was one of the many steps my dad would take to make his French Bread. It would have been so much easier to just buy it from the store. Why go to all that trouble? My dad would mix, knead and roll out the dough; he'd form it into loose braids and brush it lightly with olive oil before baking. In the heat of the oven, it would rise into this beautiful, golden masterpiece. He would take the baked loaf out of the oven, pull apart the braid and smear it with butter for our guests to partake of the goodness--that was something you definitely couldn’t buy in the grocery store. There's something special in intentional preparing, serving and gathering. Wonderment happens around a table when you stop for one common purpose--to break bread together and share a meal. All over the world, breaking bread is a symbol of hospitality, love, gratitude and togetherness. Isn’t this where community begins? I am thankful for the childhood memories of consistently watching my dad go the extra mile to prepare bread for us and our guests. I love that he continues wanting to master this craft that he loves. The love of baking actually is a gift for us all--we have the opportunity to enjoy the work of the baker's hand." Horst grew up in a Northern German town called Mölln. His father owned one of twenty-six bakeries in this small town--a bakery he owned for forty years called Bialis. "My dad was a real master baker. He always came up with new recipes." Living above the bakery, Horst had hay fever as a child but thankfully outgrew it. A regular meal in the Bialias home consisted of franze rolls--flakey, croissant-like rolls cut in half with butter and honey dipped in coffee. His fondest, proudest memory was taking a fresh loaf of his father's bread to school as a little boy. His father first taught Horst how to bake. Horst remembers, "I spent most of my time in my Father's bakery on my hands and knees cleaning the floor, because first you need to learn how to clean a bakery." Horst recalls clearly his father's work ethic--he would never ask for anything he wouldn't do himself, and he always led by example. Horst decided to study retail business management before ultimately coming back to his love of baking. He moved to America in 1988 to work and has been here ever since. Horst loves baking because he enjoys making something with his hands; he explains, "As a baker, you have to be able to make a great simple, classic bread before making a bread with all sorts of things in it." His favorite dough to make these days is Cinnamon-Raisin, and his favorite bread is Challah; however, Sunflower German Rye is his favorite bread to eat! We are so thankful to have him as part of The Table team. All the years and hours Horst has passionately spent learning his craft--the timing of the bread's resting, the art of its shaping, the nuances of the process of baking, the loaf's weight, the muscle movement of a master, every detail--has made his bread truly sing. We've partnered with Asheboro's very own Four Saints Brewing Company for our Four Saints Wort. We love our local partnerships, and Joel McClosky of Four Saints has done so many amazing things for our community. It's our honor to feature this delicious bread loaf made of local heart and ingredients. Wort (/ˈwɜːrt/): the liquid extracted from the mashing process during the brewing of beer or whisky. Wort contains sugars that will be fermented by the brewing yeast to produce alcohol. In honor of Horst's favorite bread, The Table will offer Challah every Friday at both Table locations. Challah is a special braided bread in Jewish culture that is typically baked on ceremonial occasions, such as the Sabbath or major Jewish holidays. *Call 2 business days in advance for any PRE-ORDER items for Easter (April 1st). Please note that each Table location has differing baked goods and retail available. Check out this awesome new product in our Market--Bee's Wrap is reusable, sustainable food storage that is great for making bread last! It was founded in 2012 by Vermonter Sarah Kaeck, a mother of three who has been, by turns, an avid gardener, milker of goats, keeper of chickens, and seamstress. Bee’s Wrap started with a question facing many families and home cooks: How could we eliminate plastics in our kitchen in favor of a healthier, more sustainable way to store our food? What she discovered is a lost tradition made new again. By infusing organic cotton with beeswax, organic jojoba oil, and tree resin, she created a washable, reusable, and compostable alternative to plastic wrap. Their website is beautiful and full of ideas: "Wrap cheese, half a lemon, a crusty loaf of bread, and fruits and vegetables. Cover a bowl, or pack a snack for your next adventure. Made with organic cotton, beeswax, organic jojoba oil, and tree resin. Bee’s Wrap is washable, reusable and compostable." Also, have you tried our Bread Dippers from Wildly Delicious? Featured here is the Asiago and Artichoke Chardonnay. Flavored with sharp Asiago cheese and balanced with artichokes and capers, this product is a combination of sunflower oil, olive oil and Chardonnay wine vinegar. To enjoy, simply shake vigorously, drizzle onto a serving plate and serve with freshly torn chunks of The Table's French Baguette. Other inspirational ideas include using our dippers as a marinade or vinaigrette. Grab one in the Market while supplies last! Our baristas have done it again! This month's speciality latte uses a cinnamon-based housemade simple syrup to give you an incredible and subtle taste of churro. Come celebrate Saint Patrick's Day with us in Asheboro onSaturday, March 17th! Begin the day with a great cause, The Human Race from 8am-12pm.The Human Race is a unique opportunity for people to raise money for non-profit organizations in Randolph County. The race features a TAC-certified 5K Run as well as a walk that begins and finishes in Bicentennial Park. Contact the Randolph County Volunteer Center for more info about participating. The race will be followed by Habitat for Humanity's Food Truck Rodeo from 1-6pm. So many tasty food trucks to try out! You don't want to miss this. Visit their Facebook Event's Page for more info! Four Saint's Brewing Company will hold a Saint Patrick's Day Celebration beginning at 2:00pm. Four Saints will be having live music in the park along with a beer garden. Hope to see you there! Come support Asheboro's local theater company, RhinoLeap Productions, by attending a performance of Forever Plaid from April 5-15 at The Sunset Theatre. 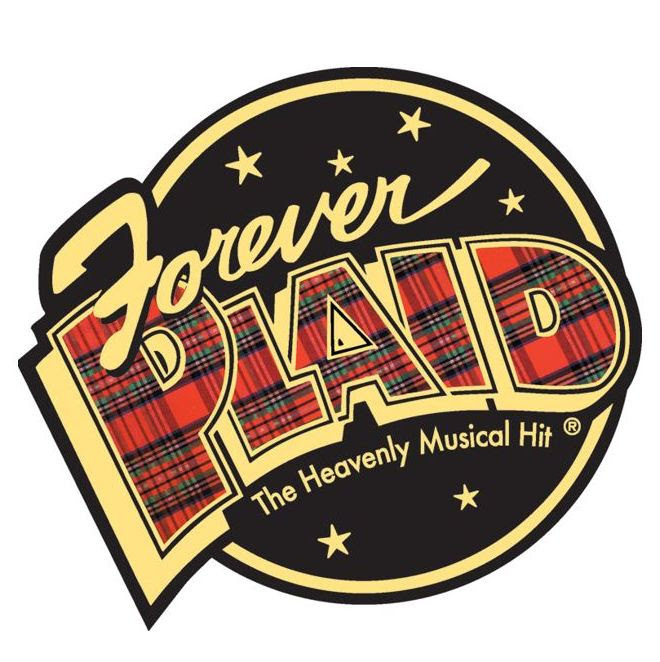 Forever Plaid is one of the most popular, successful musicals in off-Broadway history. This deliciously fun revue is chock-full of classic harmonies and delightful scenes that keep audiences rolling in the aisles when they're not humming along to some of the great nostalgic pop hits of the 1950s. *EASTER is Sunday, April 1st! Please follow us on social media to keep up-to-date on all of our Easter specials. We will have Hot Cross Buns and some other special items featured during the week of Easter. "Do you make that here?" I grew up with a dad who loved to bake bread, and he still does to this day. I have such fond childhood memories of seeing him knead bread with his hands, the aroma of it baking in the oven, the excitement of tearing off a piece of his carefully braided loaf and smearing it with butter while it was still warm. 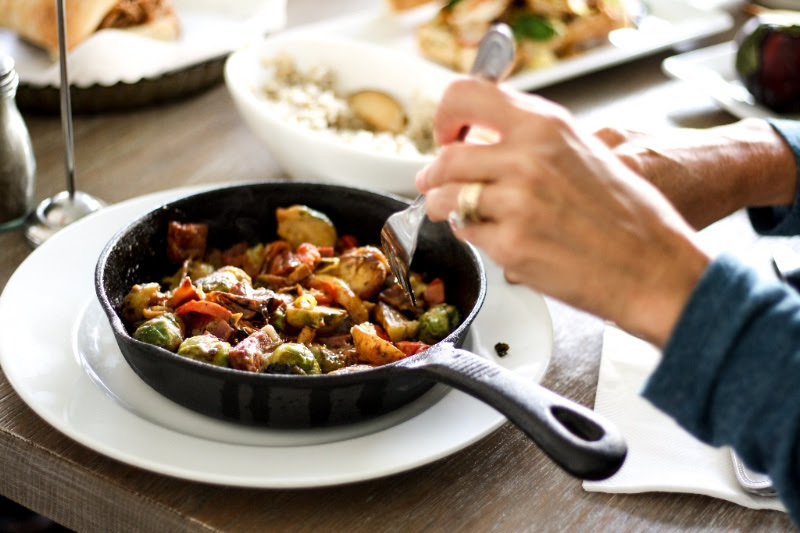 My mom always baked something special when we had guests coming over to our home for dinner; it was usually something she had never baked before, because she loved to try new things! Her love of baking comes from the joy of knowing her guests feel special because of the work of her hands. When thinking about opening The Table, I wanted those same feelings to be shared--fresh bread, real butter, the creative element of baking something special for our guests. We live in such a fast-paced, busy world; enjoying the simple pleasures of a craft that isn't machine-manufactured, wrapped in plastic with ingredients that you can't pronounce, but instead is crafted in small batches carefully rolled, scooped, kneaded by hand, mixed with fresh ingredients--well, that's the only way to go for me. So. to answer our most frequently asked question--YES. 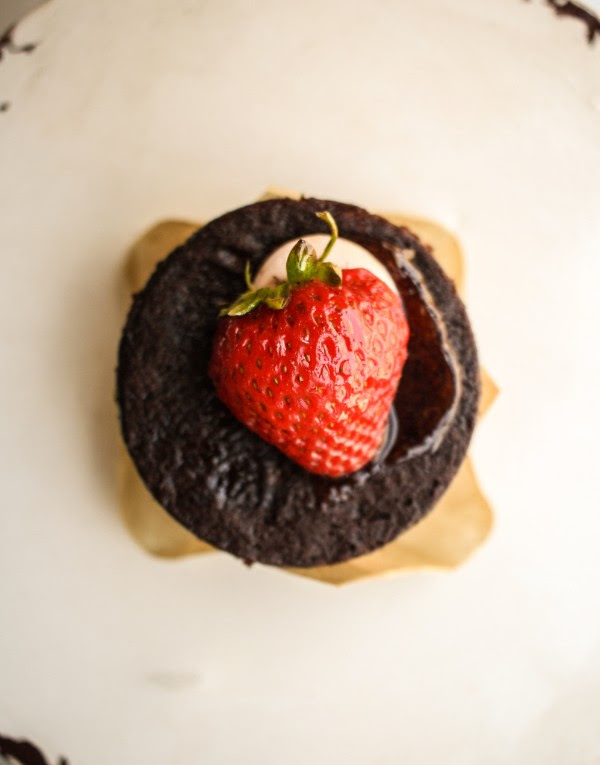 We make it all right here in our kitchen, every day, as a part of a very talented group of people who love to bake. In honor of Valentine's Day, we'll be offering some unique dessert items on Wednesday, February 14th. Come have a lovely afternoon tea and treat with a friend or after-dinner dessert with someone special at our Asheboro Bakery. We will be extending the hours The Bakery is open in Asheboro from 2:30pm - 9:00pm. *Please note that the Eatery will not be open. love with my baking classes. I had read an article in the local newspaper about a very interesting bakery that had just opened up, so I went to see about a job. I got the job and stayed there for almost eight years as a baker. Baking was all I could think of anymore!. There I learned how to bake things I had never even heard of before, like Pain Au Chocolate Almond Brioche Toast. Yummy! I feel so thankful for my role at The Table in Asheboro, and now Greensboro, for the past five years. I bake because I love to make people happy--just give someone a cinnamon roll or cookie right out of theoven, and all they can do is smile. When both my grandchildren were living with me, every Monday morning I would have muffins and hot chocolate ready for them when they got out of bed. Little Brayden would come running down the hall yelling, 'MawMaw, where are the mutkins?' Knowing that I can make the people I care about happy, well, that makes me happy." "What really ties an event to me in my memory is what I ate, so I love when I get to bake something that's part of a special memory for people, like a birthday cake for my friends' children. One of my dearest memories over the past couple years in my profession included a tender moment with a lady from my church. Her mom had recently passed away, so she had been taking care of her elderly dad. She told me that my Chocolate Pie tasted like what her mom used to bake, so she'd always come by The Table to get it for her dad. Our memories are truly tied to food and the sensations, smells, tastes, feelings that go along. I get my love of chocolate from my mom; she was a serious chocoholic. She first taught me how to bake brownies from her 1960's Hershey's cookbook. She always had some chocolate squirreled away in my childhood home; I do that too, now! My favorite chocolate bar right now is Lindt's 85% extra dark chocolate; it tastes incredible. My husband, Luke, thought he was marrying Betty Crocker, but I really don't bake too much at home; I just cook. Luckily, he's an excellent baker. If I do bake at home, it's usually to make a chocolate cobbler or apple crisp to bring to a party. My favorite Bakery Item right now that we serve at The Table is anything Gluten-free that Samantha bakes. I personally enjoy making our Chocolate Mousse the most, because I adore anything chocolate. It's hard for me to resist our Chocolate Chip Cookies here, too. There is a real science behind our human cravings for pastries and baked sweets; thecombination of salty, crunchy and sweet signal delight and pleasure to our brains. Most importantly, when we get to share sweets with those we love, we feel in our hearts a sense of comfort, reward and satisfaction that is hard to beat!" *Call 2 business days in advance for any PRE-ORDER items. Please note that each Table location has differing baked goods and retail available. *Please call our BAKERY in GREENSBORO for information about current specials and retail, like our Valentine's Day Heart-Shaped Cake. We have plenty of gifts and treats for your Valentine! If you love our Rueben, then definitely grab a loaf of this fabulous rye bread. Wort is from the mashing process during the brewing of beer, in this case from our local Four Saints Brewery right here in Asheboro. Fennel seeds give this tender Slavic bread a distinctive licorice flavor, and vinegar gives it slight tang. This deep-gold, braided bread is traditionally served on theJewish Sabbath and other holidays. Alternating Saturdays will feature either loaf. The Jalapeño-Cheddar will add some spice to you life, while the Sunflower Rye is definitely more of a comfort food. Our feature latte this month marries thegorgeous citrus tang of these locally picked oranges with the rich smoothness of chocolate. Thank you to local farmer Walter Krasuski from Water Puddles by Walter, for these wonderful oranges. Try one out today! Our brand new Chia Rice Bowl is something you can't miss! With jasmine rice steeped in green tea, Thai coconut milk, chia and lime, this dish is healthy and delicious. Waxing Kara's body butters, honey and plethora of products are featured this month in The Table's Market. They are designed to soothe, brighten, and rebalance skin thanks to pure honey and other natural ingredients-no artificial colors or fragrances, parabens, or sulfates are used in these formulas. Enjoy spa quality products in the comfort of your home. All honey scrub and butter is handmade right here in the USA. Cruelty free, eco friendly, and so good for your skin. We are offering a free gift box with any gift purchase of $20 or more. Our gable boxes come with blush and pink tissue and is perfect to fill with a Table gift card and Waxing Kara Body Butter. Also, check out our best-selling Lov Teas (like, Lov is Beautiful) in stock this month! This organic blend of light, fruity flavours will help make life brighter. White tea, green tea and rooibos combine to create a delicate base, complemented by apricot and natural peach flavours for a lovely, gentle finish. The mango and pineapple pieces add an exotic touch, and are sure to brighten up your day." Come support Asheboro's local theater company, RhinoLeap Productions, by attending a performance of Forever Plaidfrom April 5-15 at The Sunset Theatre. The Table is proud to support these wonderful local artists. Register to win 2 tickets and a gift card from The Table in the amount of $30 when you come in on Valentine's Day! One of our regulars, AJ, eating a Table staple--a cinnamon roll! What a cutie. "When I think back on 2017 one word rings true: Community. I think of the Sunday afternoon that we opened The Table to host a Fall Fest Fundraiser for Cove Phillips’ journey toward wholeness; theline of people who showed up to support this precious little girl was all the way down the sidewalk. I remember Summer's Swing Dance Night; I watched young and old take a stranger's hand on The Table's lawn and dance under the stars. I remember thecouple who comes every Friday night; this Christmas they graciously brought handmade ornaments with a note of encouragement for my staff. I think of the "Get Well Soon" cards, prayers and financial support that were passed across our counter to be given to one of our very own during a time of sickness; the homeless man that comes in weekly to eat and the number of guest that ask if they can pay for his meal; lending a helping hand to a homeless family of seven and someone in our community providing shelter, clothing and furniture for them so that the five children could experience a wonderful Christmas. “We are each singular threads in the world. We all get to decide what we will tie our lives to. If I tie my resources, my time, to only a thin thread of my own life, my life’s a hopless knotted mess. The thread of your life becomes a tapestry of abundant colors only if it ties itself to other lives…. Reweaving peace, harmony, hope and wholeness means to sacrificially thread, lace and press our time, power, goods and resources into the lives and needs of others….The strong must disadvantage themselves for the weak, themajority for the minority, or the community frays and the fabric breaks." When delivering some food to a local community shelter before theholidays, the director said to me, “My fear is that one day people will forget about us”. I truly think that will never happen. I see so many in our community choosing to be woven into a fabric, a fabric that will continue to be strengthened by more and more threads. As people take risks to rebuild, create jobs, teach, restore the broken, reach for an open hand in need, the community strengthens. We are giving space for growth and hope. We may see it initially as sacrifice, but the return is greater than anything we can imagine. Isn’t that what living in community is all about? This newsletter is a THANK YOU letter of sorts. It is a thank you to all of you that come to The Table and have a meal with us. It is a thank you to the city that has given us an opportunity to restore and rebuild. It is for all of you that silently feed the poor, give words of encouragement, provide jobs and take risks to grow, so that others may profit. It is for my staff who desire to serve our guests well and take pride in their jobs. The Table has thrived over the last almost five years because my incredible staff choose to learn and grow in their trade and in service to our guests. I couldn’t do it without them. I am thankful for my husband and the constant sacrifices he makes for me to continue to dream into this community. Thank you, EVERYONE, for a wonderful year. I look with great anticipation for what 2018 has for this community." 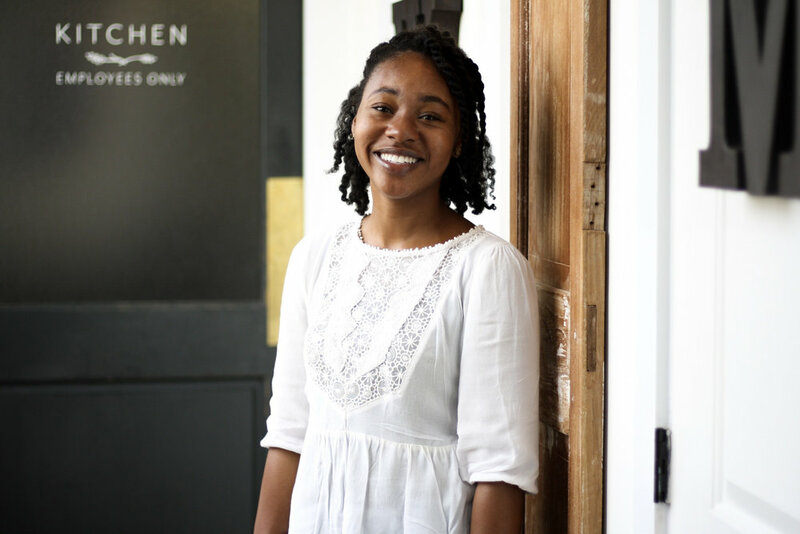 "I started working as a dishwasher at The Tableand was so excited when Dustie approached me about transitioning into coffee. 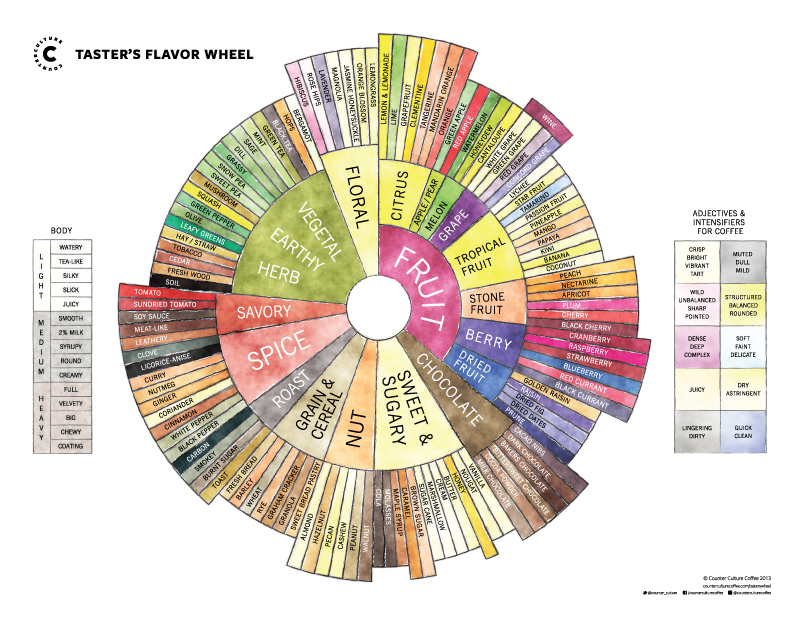 I had a desperate curiosity to learn everything I could about coffee. 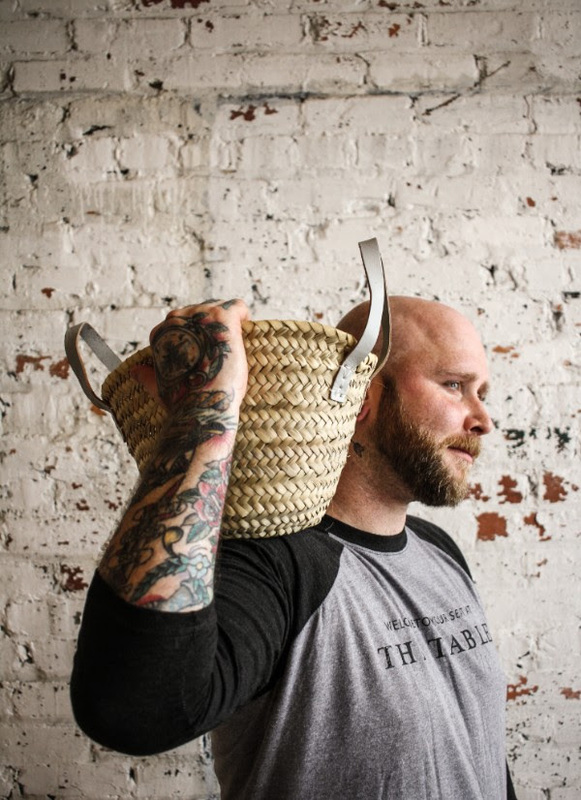 TheTable's third-wave coffeeprogram using Durham's Counter Culture Coffeebeans was ground-breaking for Asheboro starting with our original barista, Chris Phillips, and it has only gotten better since! Here at The Table I'm always shown how valuable and necessary it is to serve others; I feel so much joy seeing people smile whenever I serve them coffee. This is a community like no other." 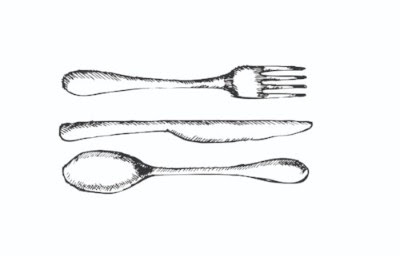 My first roles at The Table were in dishwashing/food preparation. I've always loved coffee, and when I began expressing some interest in learning to be a Table barista, Dustie offered me a position. Oddly enough, I turned it down twice, because I had a massive beard and didn’t want to shave it off! However, I finally decided I was truly ready for some change, and the next day my beard was gone; I was ready to take on the new journey of becoming a barista! Fast forward to today--Noah and I are officially certified baristas through a lot of hard work in our Counter Culture classes and completion of our exams. I feel so honored to be able to perfect my craft and the be the best barista I can be. I enjoy serving a phenomenal product, practicing latte art and pursuing the perfect cup of coffee at a competitive level. We serve in a capacity that is unique to Randolph County and take a lot pride in making sure all of our baristas are fully trained; no matter who is in bar, we can offer a consistent coffee/espresso drink. Thepast several years at The Table has sincerely been an amazing journey of learning and growing beside friends and passing on thecraft to others." *Please call our BAKERY in GREENSBORO for information about current specials and retail. 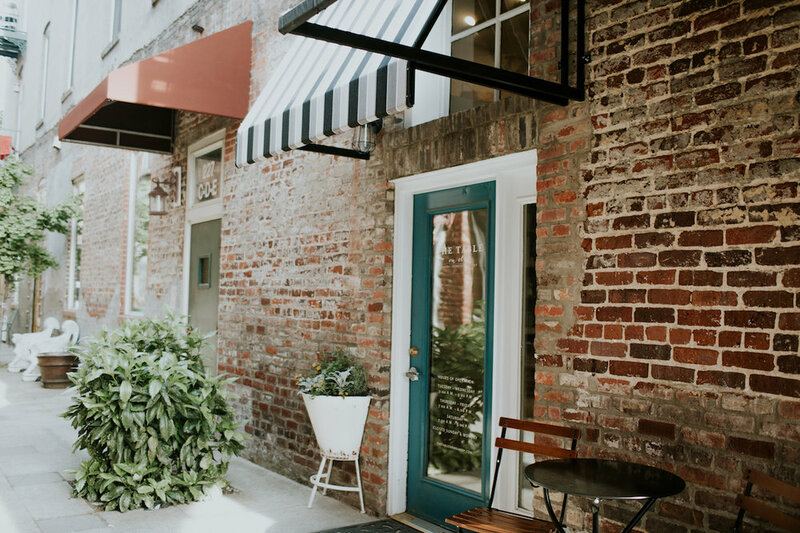 The Table on Elm, our little sister location in Greensboro, has amazing treats and treasures for those passing through The Triad! Come stop by today; we'd love to see you! Check out our FEBRUARY NEWSLETTER for upcoming Valentine's Day Specials! "When I started at The Table two years ago, I never imagined theamount of change and growth I would experience as both a baker and a photographer. Before I began my journey with The Table, photography was not something I had given much thought to as a career, but more of as a hobby. Along with most people my age, I spent an incredible amount of time on social media. Being science-minded, I really love figuring out what goes into social media and how it really works behind-the-scenes (also as a hobby!). When Dustie asked me if I wanted to run The Table's social media accounts, I was more than thrilled! The job turned out to be a lot bigger than I had initially thought, but also a whole lot more rewarding! I fully believe the amount of encouragement and support from Dustie played the biggest role in the growth of my art. Her trust and blind faith in my ability to build upon and grow our brand through social media has been key in making it successful. I will forever be thankful to her and the rest of The Table for the overwhelming amount of love and gentle support in both my personal efforts and my career!" The Square on Church is Jerry Neal and Dustie Gregson's latest building project next to The Table. To update everyone on the building's renovation process, Mill 133 officially has a roof and is all dried in for Winter. Progress is being made in the Neal Building by cleaning it out and getting it ready for something brand new, which will be announced this Spring 2018. 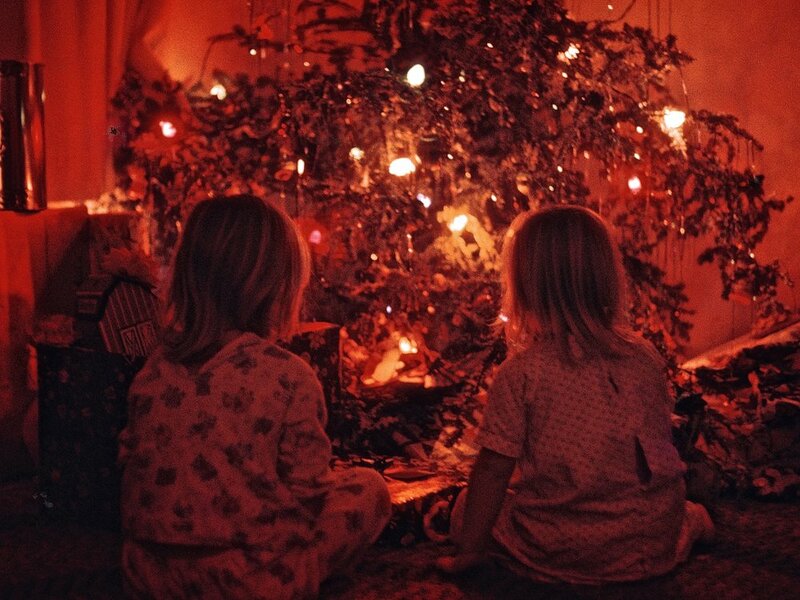 "The most magical Christmas I can remember was when I was five years old. We lived in an apartment complex and had very little in the world's definition of wealth. My sister and I had been wanting a pair of shiny, black, patent leather boots with tiny, metal eyelets that ran all the way up and tied with a perfect bow just below the knee. I thought they were the most beautiful boots I had ever seen; I asked Santa for them. It was a cold Christmas Eve, and we were anxiously waiting for the morning to come. We heard a knock at the door, and my sister and I ran to greet this unexpected guest. To our surprise, all that was there on the doorstep were two, beautifully wrapped gifts with our names on them. We tore the paper and bow off to behold the exact pair of shiny, black patent leather boots that our little hearts had dreamed of. To this day we still don't know who left those boots for us. The gifter was anonymous. I can only imagine the excitement they must have felt leaving us two little girls a gift that we had wanted so badly and that was something we were not really expecting to ever receive. To this day I remember thewonder and how loved I felt. That Christmas formed a particular soft spot in me about giving, because I was on the receiving end of a gift supremely extravagant. It wasn't the boots that mattered at the end of the day; it was that fact that someone loved my sister and I enough to bless us with a present that we didn't have to have, but desired deeply. The gifter took the time, money and energy to shop through the crowds, wrap the boxes and leave them at our doorstep. Truly amazing. I am thankful for the greatest Giver of all and that we have set aside this season to reflect and celebrate His birth. "Unto us a child is born, a son is given" (Isaiah 9:6)! Merry Christmas to all of you, and may your homes be filled with His perfect peace, love and joy this holiday season and New Year!" 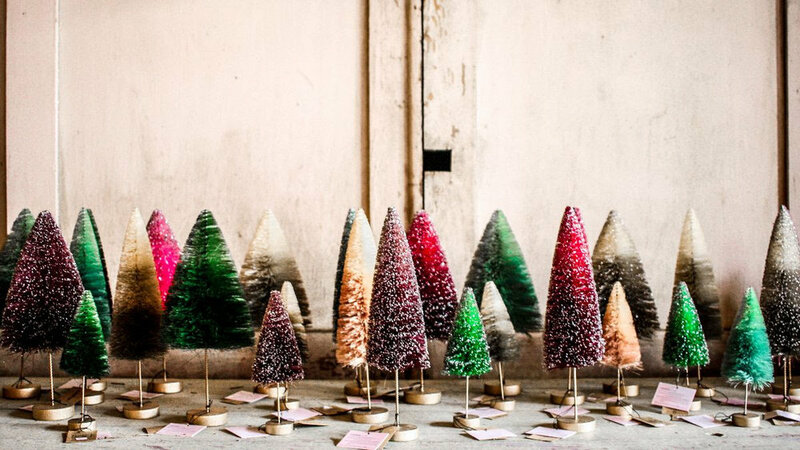 In this magical season of giving, you will find so many treasures in our Market that will make unique gifts for loved ones. New gable giftboxes with our sheep-wreath labels ("Giving, a heart made full") are here to be filled with all the special holiday treats you purchase. We have lovely new coffee mugs and Giving- A Heart Made Full t-shirts ($23) that are freshly stocked in the Market for Christmastime. $5 of every t-shirt sold will go to CUOC this month. Help support this incredible non-profit organization! Other gift ideas include French market totes, Hammond's candy canes (so many pretty colors and flavors! ), Wildly Delicious compotes, jams and dipping oils. Waxing Kara's delicious honey with bear and rabbit honeypots are cute, practical presents for special ladies in your lives. And if you just can't decide on the perfect gift, we will have our Tablegift cards at the cashier. Don't forget to pick up your Winter Blend Granola as a hostess gift for your holiday travels! Indulge in the holiday season with our Peppermint Mocha Lattesthis month. As you know, all of our syrups are housemade using fresh ingredients. Also, for all you Counter Culture lovers out there, we are selling their limited-release Winter Blend, Iridescent. They make amazing Christmas gifts with their beautiful snowflake packaging. They donate a portion of proceeds from every pound sold to organizations doing important work in the communities where they buy coffee—to complete the cycle of good work, good cheer and great coffee. Iridescent offers an approachable flavor profile that is still complex with sweet notes of dark chocolate and berry. Thank you for all who joined us Sunday, December 10th at our Asheboro location! We had an amazing turnout. We shared our Market's jams, compotes and holiday coffee, as well as tastings of our Bakery items. Holiday gifts and bakery items are available to pre-order for the holidays. RhinoLeap Productions: "It's a Wonderful Life"
Rhinoleap Productions will be putting on a live radio play of a Christmas favorite, "It's A Wonderful Life"! Bring your whole family and come join us at The Sunset Theater in Downtown Asheboro on December 28 and 29 (7pm) and December 30 (2pm & 7pm). You can purchase tickets online at www.rhinoleap.com. The Table will be participating in this awesome holiday show by hosting a GIVEAWAY! We will do various drawings at The Tablefrom Dec. 5-19, and 3 winners will receive 2 tickets each to theshow and a $15 Table gift card for dessert and coffee after the show. Also, if you come by The Table after the performances, present to us your show ticket and we'll give you 15% off any dessert and coffee. In honor of the Christmas holiday, The Table will close at 3:00pmon Saturday, Dec. 23. We will re-open on Thursday, Dec. 28 with regular hours. In celebration of the New Year, we will will be closed Tuesday, Jan. 2nd. New in the Market for the Fall season are Mason Cash's Varsity Baking Goods. Mason Cash has been the choice of home cooks and bakers for centuries. The origins of Mason Cash can be traced back to a pottery operating at Church Gresley in the heart of theEnglish ceramic industry in 1800. Inspired by the oldest British university towns, the Varsity range combines the quality and innovation of Mason Cash together with sophistication and style. Their chip-resistant earthenware mixing bowls are sized to perfection and nest for practical storage. Check them out in The Market today, especially all you bakers out there getting ready for family gatherings for theupcoming holidays. All of our housemade syrups are made using the best of ingredients. This Fall our baristas are featuring some of your favorite flavors for your coffee: Pumpkin Spice, Caramel Apple, and now, Maple Bourbon. For an added kick of sweetness to our amazing Counter Culture coffee drinks, try one of our syrups. Need a Pie for Thanksgiving? Don't want the hassle of baking your own dessert for the holidays? Place your order at The Table this Fall for a delicious, housemade pie! Please note that the last day to pre-order pies for Thanksgiving is Thursday, November 16th. A new season means new, fresh ingredients in our Eatery. If you haven't tried our new Saturday Brunch Fall Menu, it is a must! There are specialty items that can only be found in the Eatery on Saturdays, and our Creme Anglaise French Toast is one of them! Bring your whole family for a treat and dine with us. Kris Koch, originally from Wisconsin, has been a dear local partner of The Table for a couple years now tending to our beautiful plants and flowers making our entranceways look welcoming and lovely. She formerly worked as an X-ray Technician, but transitioned to work in the wonderful world of plant nurseries. Gardening has always reminded her of her dad, who taught her how to garden when she was a little girl. Now Kris continues to garden, still using her dad's old garden trowel! She loves plants out of her passion and considers it a form of therapy. One early morning I drove up to The Table, and all the dead plants had been replaced with beautiful, fresh new ones. I was astonished! I had no idea who had done this beautiful act of service. I asked my mom and close friends, but no one seemed to know. Though the grapevine I learned that it was a woman with short red hair; I knew immediately who it was--Kris Koch! Kris had helped me the first year we opened The Table when she worked at a local nursery. I tracked her down; sure enough, it was her. She gave her time and talent "undercover" when she recognized a friend in need. What a surprising blessing it was for me! She didn't want recognition or applause, she just wanted to give out of the generosity of her own heart. I pray blessing back to her and her family for her willingness to bless, not just me, but all those that come to The Table and those who simply stroll down Church Street admiring the beauty of the work of her hands." In honor of the Thanksgiving holiday, The Table will be closed Thursday, Nov. 23 and Friday, Nov. 24. We will re-open with regular hours on Saturday, Nov. 25. Hope to see you soon! "Autumn mornings: sunshine and crisp air, birds and calmness, year's end and day's beginnings." 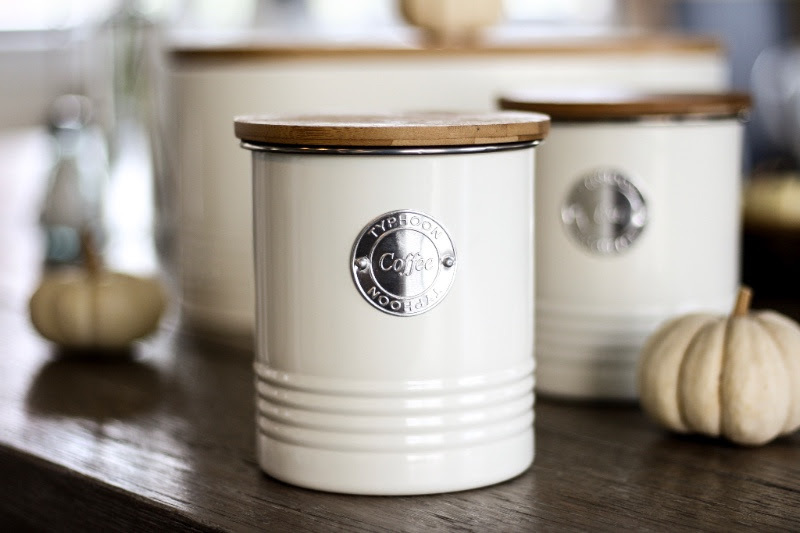 Inspired by theindustrial, Americana, modern kitchen, these Typhoon Food Canisters are ideal for storing coffee beans and grounds, loose leaf tea and bags, sugar, bread or other dry goods. An airtight seal and seamless construction ensure lasting freshness with a stylistic bamboo wood lid sourced from sustainable forests. These canisters are made with hard wearing and durable carbon steel and showcase a simple, ridged pattern on lower half of canister. The finishing touch is an embossed, vintage 'Coffee', 'Tea' or 'Bread' graphic. Check them out in The Market today! Our housemade syrups are all-natural and fresh. This month, along with Pumpkin Spice, we are featuring another Fall favorite, our Caramel Apple Lattes (hot or iced). Get in the mood for Fall and try one next time you're at The Table! A new season means new, fresh ingredients in our Eatery. Our new Fall Brunch Menu starts on Saturday, October 7th --the same day as Downtown Asheboro's Fall Fest! The Fall Weekday Daily Menu will start on Tuesday, October 10th. Morning Menu} 7:00am-10:30 am Tues.-Fri. Weekday Daily Menu} 10:30am-2:30pm Tues.-Wed. Starting on October 7th, we will no longer close our kitchen in the afternoons on Thursdays, Fridays and Saturdays! Our kitchen will remain open until 8:00pm; come and dine with us all afternoon long. It's a joy to highlight Levi, who has been a faithful part of The Table's Staff since we first opened in 2013. Levi shows an incredible servant's heart for all of our guests and our fellow Staff. If you want a project done correctly just ask Levi; he is always thorough with a great eye for detail. And, if you listen closely you might catch him singing a song as he works through the day. We appreciate his consistent, strong work ethic! Thank you to everyone who came out SUNDAY, October 1st for this incredible fundraiser! Cove is the sweet, 3 year-old daughter of Chris and Jessie Phillips; as former staff, they helped Dustie pioneer The Table over 4 years ago. Cove's story is a miraculous one. She was stuck in the birth canal as a baby and was born without a heart beat. She was brought back to life but suffered brain damage. Cove is a living miracle, who now lives with spastic quadriplegic cerebral palsy. 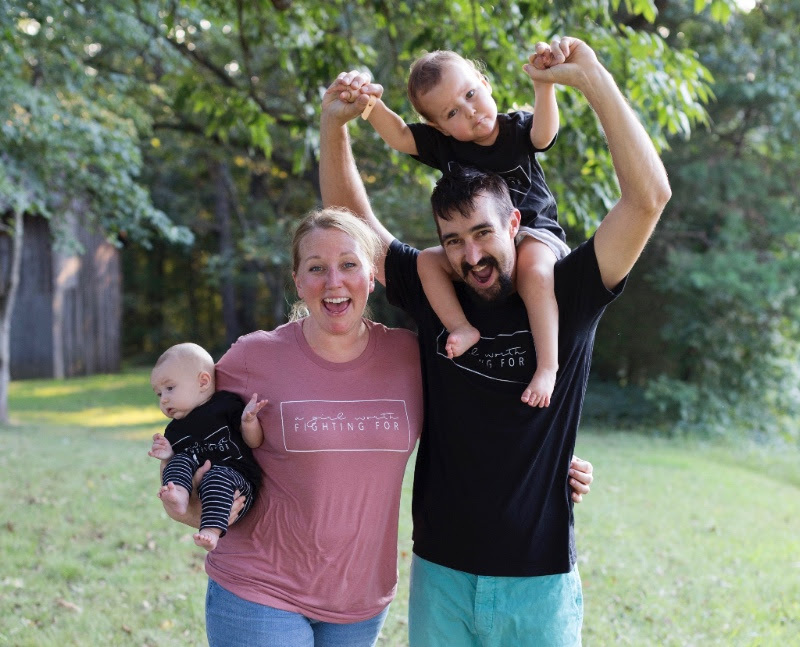 Her parents have initiated a campaign this Fall to raise $30,000 by November 1st to help fund her medical expenses for various life-changing therapies and procedures. It's our joy and honor to help support their YouCaring Campaign through a mini Fall Fest Fundraiser at theTable! With the community's help and giving, Cove could have the capacity to eat, walk and possibly talk. So, join TheTable family this Sunday for fun $1 lawn games, a silent auction, chicken and waffles, apple cider, sweet treats and coffee drinks. 100% of all proceeds will go toward Cove's medical expenses! If you want to know more information about this "girl worth fighting for" visit @covesjourney on Instagram and "Friend" Cove Phillips on Facebook. Click here to visit our EVENT PAGE on Facebook! Click here to watch Cove's Fundraising VIDEO! The streets of Downtown Asheboro are full of fun things to do, see and eat every year during Fall Fest. It's a combination of street fair, bazaar, harvest celebration and homecoming. Come visit The Table during Asheboro's FALL FEST on Saturday, October 7th! To find out more info, visit Randolph Arts Guild's website and Facebook Page. 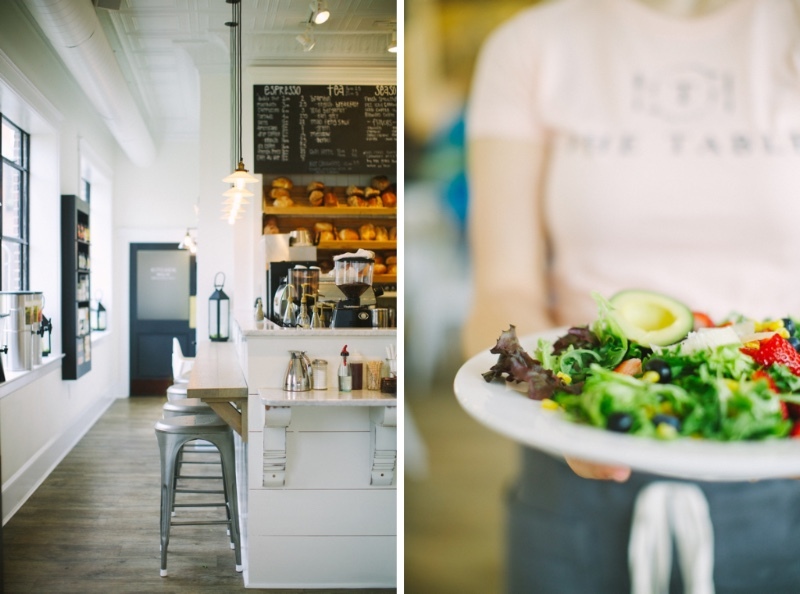 Have you visited The Table on Elm in Greensboro yet? Come stop by The Table's little sister location for 1st Fridays in Downtown Greensboro on October 6th. We'll be open until 9:00pmoffering desserts, coffee and sweet treats. Please call our Greensboro location for Friday's specials. Click here to learn more about our location by visiting our webpage. Follow us on Instagram and Like us on Facebook! Autumn days are arriving with the faint air of cinnamon and pumpkin and falling orange leaves. 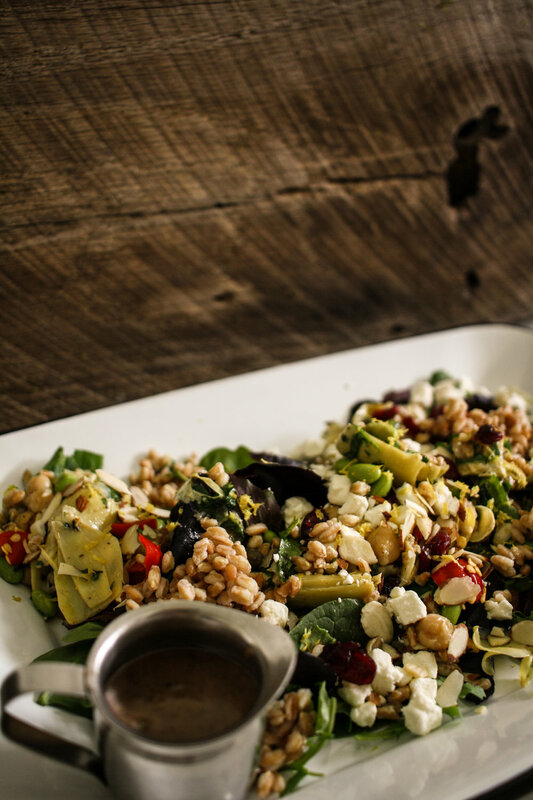 Come join us at The Table, and experience firsthand the glories of Fall. Our housemade pumpkin spice flavors will be debuting the last week of September. You won't want to miss it! CUOC Benefit Concert this Friday! Asheboro's Christian United Outreach Center (CUOC) is a wonderful non-profit organization located in Downtown Asheboro that has been serving the Randolph County community for over 22 years. Through volunteers and donations, they are able to help local families in the form of food, financial assistance, clothing, household and furniture items and RX medication services. The Table hosted a night of Music Under the Stars--featuring talented musician Shane Key on Friday, September 15th. Thank you to everyone that came out and made this evening a success! Click here to visit CUOC's website and find out more! Showing off a unique flavour profile with creamy hints of apple, raisins, figs and mustard seeds, this mostarda is an ideal condiment for cheese plates, charcuterie and a great accompaniment to roast pork or grilled chicken. All of Wildly Delicious' spreads are packed with flavor and incredible ingredients! The Table's Market has sweet and savory spreads available. Visit Wildly Delicious online to find out more about their products. Here's a super simple appetizer recipe that will really wow your party guests this Fall. Roll a Goat Lady Dairy goat cheese log onto a bed of Petite Maison's Herb Crust. Place in a ceramic goat cheese baker and warm in the oven. Serve with slices of warm baguette. Find all the ingredients and products for this tasty dish in our Market and Bakery! To find out more about Petite Maison visit their website. Our housemade syrups are all-natural and fresh. Our aromatic, citrus Bergamot syrup this past month added a floral taste to lattes and other coffee drinks. And coming up at the end of September is a Fall classic: Pumpkin Spice. Try it on your coffee drinks to really welcome the Autumn season! Slab Brownies & Pecan Bars are back for the fall! As part of our CATERING, we offer an extraordinary variety of platters, desserts, breakfast items and boxed lunches for meetings, events and other special occasions. Call The Table to pre-order, and if you'd like more info, you can check out our Catering Menu on our website. CONGRATULATIONS, Back to Earth Farm! Our dear friends and partners at Back to Earth Farm in Asheboro, Tom & Janice Henslee, just won the 2017 Randolph County Conservation Farm Family of the Year Award! We are so proud of their accomplishment and want to shout over the rooftops this incredible honor and achievement of theirs. If you've dined with us and have enjoyed our burgers, you have these incredible farmers to thank! To experience their farm firsthand check out People-First Tourism's coverage of them here! We love highlighting our wonderful staff and the dedicated work they do at The Table. If you see them around, make sure to say hello! Mark has been with us for almost 3 years. We couldn't imagine our kitchen without him! He is a real joy to be around and sincerely loves quality food. We love him for the creativity and passion he brings to the table, literally and figuratively! Rachel has worked with us for almost 2 years. She truly is a gem! On top of being an Assistant Manager, she is a runner, barista and takes your orders at the front counter. That's a lot of hats! We love the warmth she brings with her smile and positive attitude. Come visit The Table during Asheboro's FALL FEST on Saturday October 7! On Sunday, October 1st The Table will be open for a very special cause. We are hosting a Fall Fest Fundraiser for Cove Phillips, the daughter of former Table Staff Chris & Jessie Phillips. Cove is a remarkable 3 year-old girl with spastic quadriplegic cerebral palsy. In order for Cove to receive special medical treatments and therapies to give her the opportunity to have a more "normal" life, The Phillips have launched an incredible fundraising campaign through YouCaring. Come join us at The Table from 11am-4pm for food, drinks, treats and fun games all to help raise money for Cove's medical bills. To find out more about their story, visit their YouCaring website and"friend" Cove Phillips on Facebook. Summer is in its home stretch, and we are eager to soak up every last drop of sun. 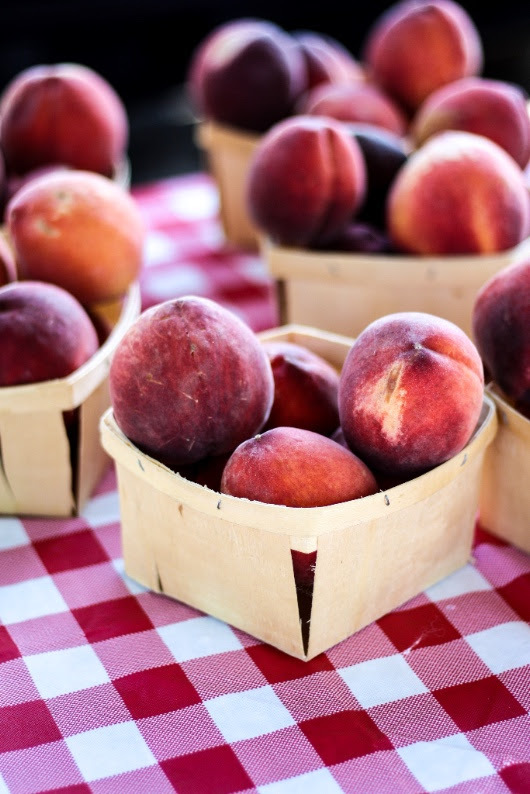 Come join us at The Table this month to taste Summer's last fruits. We say "Goodbye for now" to our awesome Runner, Erika, who leaves us to return to Nursing School in the fall. We are so thankful for all she has cheerfully poured out at TheTable and for our amazing patrons. If you see her make sure to bid her a fond "See you later!" "We built our company on one very simple idea. The idea, that sharing a meal with friends, a colleague or your family builds memories. Food is the connective fabric that binds us all. Our single goal is to create food products that will contribute to the fond memories you make." We have a selection of their amazing products available this season in our Market. Click here to learn more about this awesome company. Our Market has wonderful olive tapenades available, like Green Olive & Almond OR Kalamata Olive & Fig. These are great to serve as a condiment with one of our French Baguettes. Also, in the true Southern French style method of preparing mustard, Petite Maison produces an exquisite product blended with thefinest white truffles and spices to create a truly special condiment to enhance your favorite sandwiches, grilled meats and salad dressings. There is nothing like olive wood...Handcrafted in Germany, each piece in the Olivewood collection is given an olive oil finish that creates a soft luster. This highlights the wild grain that makes each item a beautiful, distinct addition to your table. 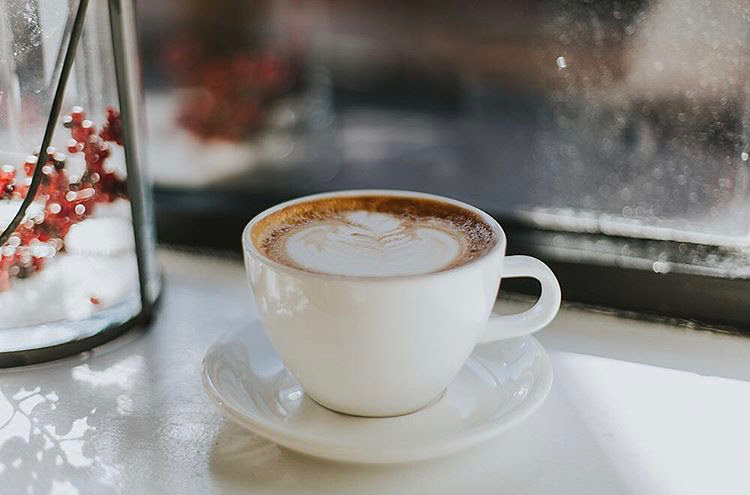 We love using Counter Culture Coffee (Durham, NC) for all of our coffee drinks, because their beans represent freshness and quality. For two decades, Counter Culture has been a pioneer of coffee quality and sustainability. Their coffee department continues to cultivate relationships with growers and organizations around the world in order to build trust, improve quality, and foster transparency. 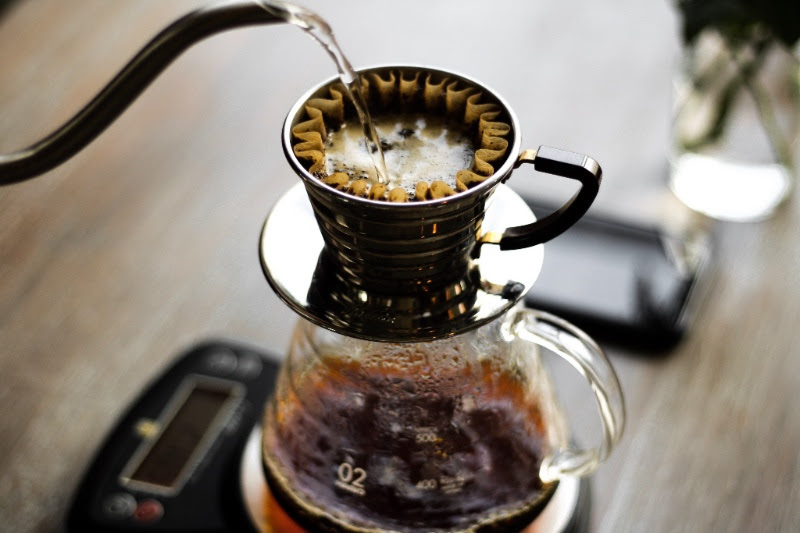 Try our Barista's POUR-OVER today to see what we're talking about. Amongst the greatest duos of all time (Batman & Robin, Sonny & Cher, ketchup & mustard) are CHOCOLATE & PEANUT BUTTER. What a fantastic combination, wouldn't you agree? 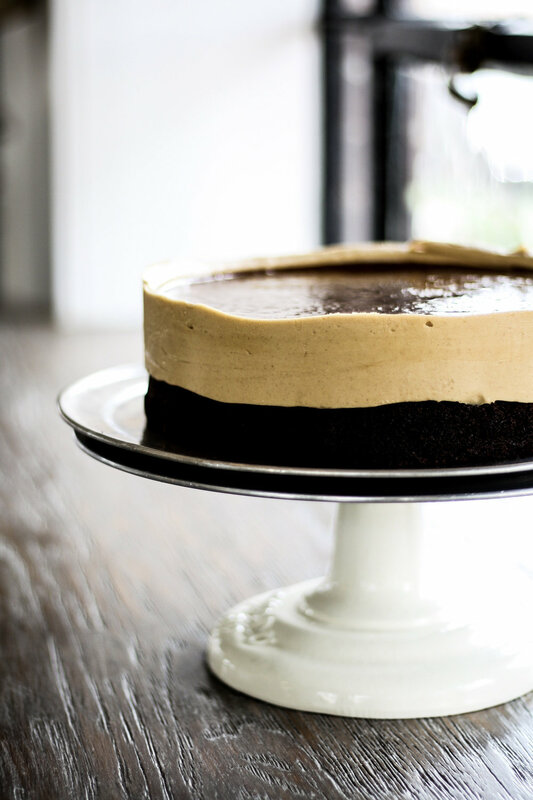 Our Bakers have gone above and beyond in creating the most decadent mousse cake you could ever image. If you haven't had a slice yet, now is the time! Ice-cream Sandwiches will be on special for First Friday in Downtown Greensboro (Sept. 1st, 6-9 PM). And you can always indulge in all of our usual sweet treats and Bakery Retail freshly prepared daily. 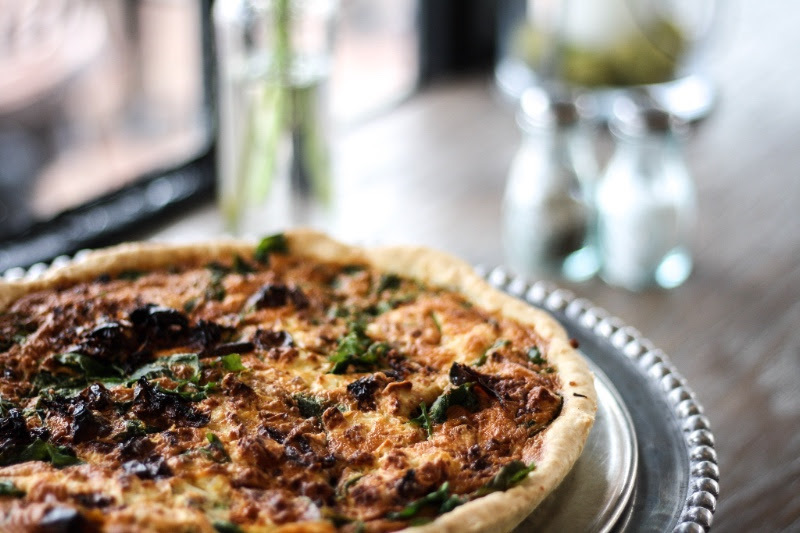 Quiche is back by-the-slice! These are perfected by our Chefs with a house made olive oil crust, fresh eggs and ingredients. Check our Chalkboard Menu for different flavors daily. Check out our full Breakfast, Brunch, Lunch and Dinner Menus. For Labor Day Weekend, we are giving our wonderful staff some well-deserved rest. The Table (Asheboro) will be closedSunday, Sept. 3-Wednesday, Sept. 6. We will re-open at our normal hours on Thursday, Sept. 7. The Table on Elm (Greensboro) will be closed the whole week of Labor Day (Sunday, Sept. 3-11) and will re-open on Tuesday, Sept. 12.